According to a company press release, Ford Motor Company is recalling nearly 50,000 EV charging cables in the United States due to a fire risk. In a statement issued August 22, the company warned consumers that using the 120-volt cord with an outlet that is damaged, worn out or not on a dedicated circuit can raise the temperature on the wall outlet, potentially leading to a fire. Ford Focus Electric vehicles from the 2012-15 model years, produced between Sept. 2011 and March 2015 in Michigan. Ford C-MAX Energi vehicles from the 2013-15 model years, produced between April 2012 and March 2015 in Michigan. Ford Fusion Energi vehicles from model years 2013-15, produced between Sept. 2012 and March 2015 in Mexico. 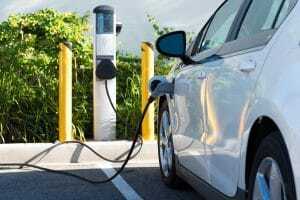 Dealerships will replace the cords on affected vehicles with the most recent version of the 120-volt cord, which includes a thermo-sensitive device known as a thermistor. Per Ford, a thermistor can identify over-temperature conditions at the plug/outlet interface and will discontinue charging until the temperature decreases to an appropriate level. If your car is among the recalled vehicles, you should receive a notice via mail. Ford is also reminding vehicle owners about the standards for proper wall outlets and not to use extension cords “under any circumstance” to charge their vehicles. Contact the manufacturer – Owners of affected vehicles will be notified by mail and may take their car to a Ford dealer to get a new cord. They can also contact Ford at 866-436-7332. Be on the lookout for a NHTSA campaign number – The National Highway Traffic Safety Administration does not yet have a campaign number for this recall; however, Ford’s recall number is 18S24. Check to see whether your vehicle has an open recall – Enter your 17-digit vehicle identification number on the NHTSA website to determine whether your vehicle has any open recalls that may need to be addressed. Although as of this writing no injuries have been reported, auto defects can be extremely dangerous to consumers. When a car defect causes an accident or injury, our personal injury attorneys have two goals – to get you the compensation you deserve and to ensure nobody else is injured by a defective vehicle. If you were injured because of a defective vehicle, talk to the product liability attorneys at Harris Lowry Manton LLP today. No company or manufacturer should ever put profits over the safety of customers, and when you suffer an injury because a company wasn’t rigorous with their safety testing, we will help hold that company accountable. Get in touch with our attorneys today at 404-998-8847 in Atlanta, in Savannah at 912-417-3774, or fill out our contact form.